Home » Lego » A GALAXY FAR FAR AWAY IS GETTING A LOT CLOSER! 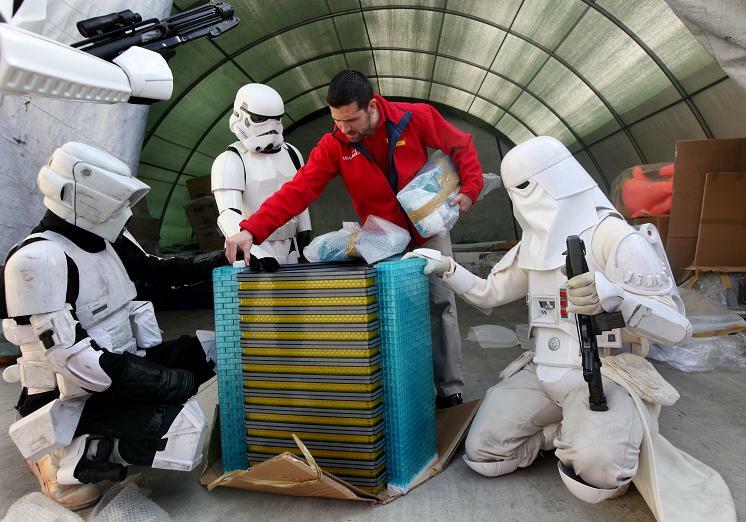 MORE LEGO® MODELS ARRIVE FOR STAR WARS™ MINILAND! AT LEGOLAND California! 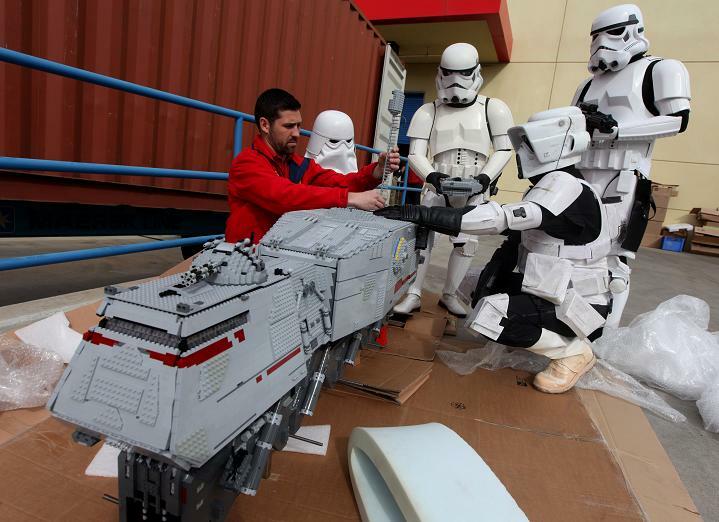 Stormtroopers, a snowtrooper and a biker scout were all on deck today at LEGOLAND California helping unload more than one thousand LEGO models for the new STAR WARS™ Miniland opening March 31 at the family theme park in Carlsbad. Master Model Builders unloaded crates containing several models including the Crystal Building, Clone Turbo Tank and the Naboo Hangar where the duel between Obi-Wan Kenobi, Qui-Gon Jinn and Sith apprentice Darth Maul will be seen. 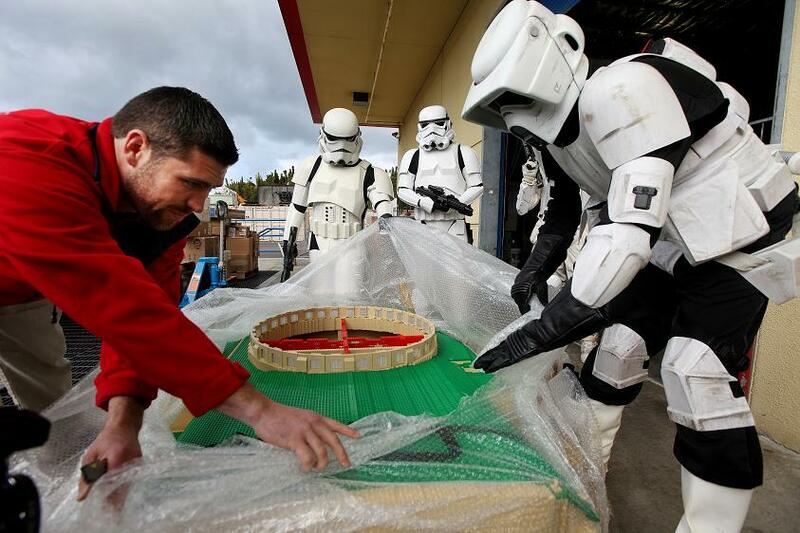 The models are part of 2,000 that are arriving to be installed in STAR WARS Miniland. LEGOLAND California will be the first of three LEGOLAND Parks to launch a new STAR WARS Miniland area. The area includes seven scenes – six of the most famous scenes from the six live-action STAR WARS movies, as well as one from the animated series STAR WARS: THE CLONE WARS™  all made out of 1.5 million LEGO bricks and built in 1:20 scale.